February has been a rather foundation heavy period. 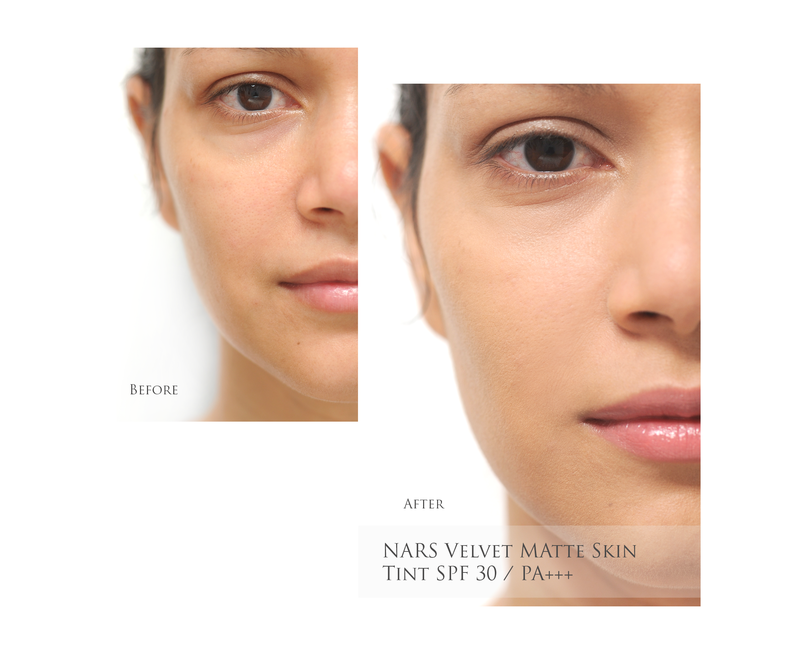 I’ve been rotating 4 new additions and the latest Velvet Matte Skin Tint by NARS is one. So far my experience with NARS foundations haven’t been the best. They don’t agree with my skin type (dry combination) & never quite sit on me as ‘natural’ as i’d like. I was pretty keen on trying the new NARS Velvet Matte Skin Tint in the hopes of changing my opinion about their bases and without giving too much away I can say, it’s my most reached for foundation this past month. 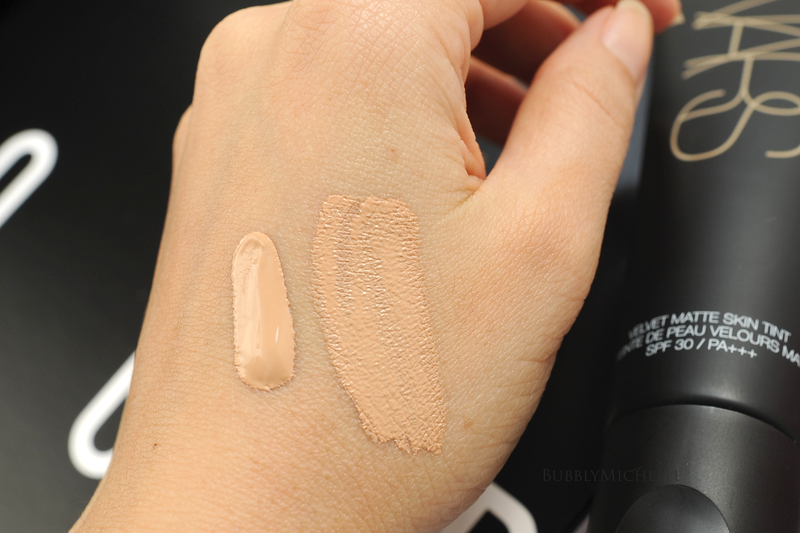 The VMST packaging is pretty much similar to the Pure Radiant Tinted Moisturiser just more elongated. The dispenser is as below and quite handy for travel with a secure no-spill cap. I like that it’s a plastic tube and can be thrown around freely without any danger of breaking so i’ll probably travel with this too. The only downside I see is that it’s highly prone to collecting fingerprints, and the stains don’t go away! 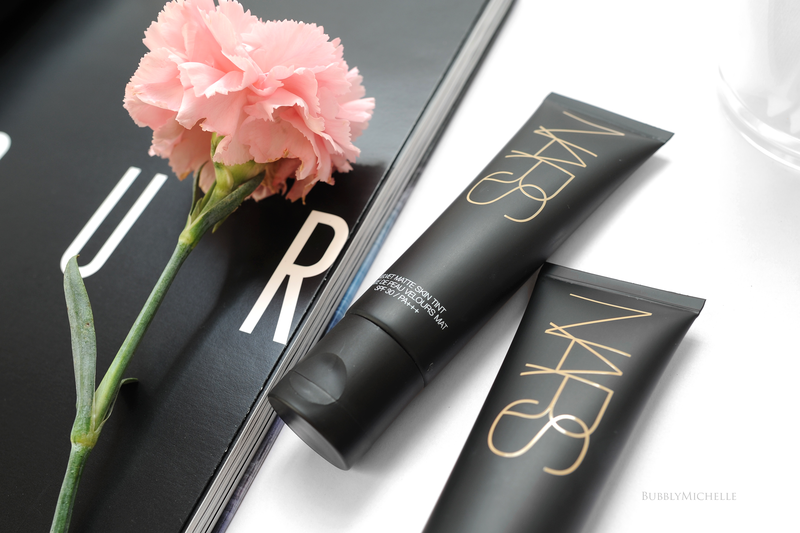 According to the press tools I received, the NARS Velvet Matte Skin Tint is said to deliver soft matte perfection with protection. It’s an oil-free formula with a natural finish, oil control & skin care properties. In addition it also contains a Velvet Illusion Complex Technology that helps achieve a soft focus effect & Transparent Blurring Powders instantly blur out pores, imperfections and even tone without masking the complexion or making it flat. The spherical shaped transparent blurring powders compress like a cushion delivering a velvety feel and superior comfort while application for a sheer to medium coverage thats comfortable and last all day. I find the texture of this almost whipped and spreads easily (with fingers, brush or Beauty Blender) for a coverage of a good medium. I can’t say it’s very buildable though as adding more layers makes it just sit on top of the skin with the danger of creasing and sliding around. Overall the effect is a very skin like finish that looks soft and touchable with redness and minor imperfections corrected & blurred. Skin types prone to flakiness can rest assured this doesn’t emphasise them much, also any enlarged pores look visibly blurred. I really like how it looks on the skin. 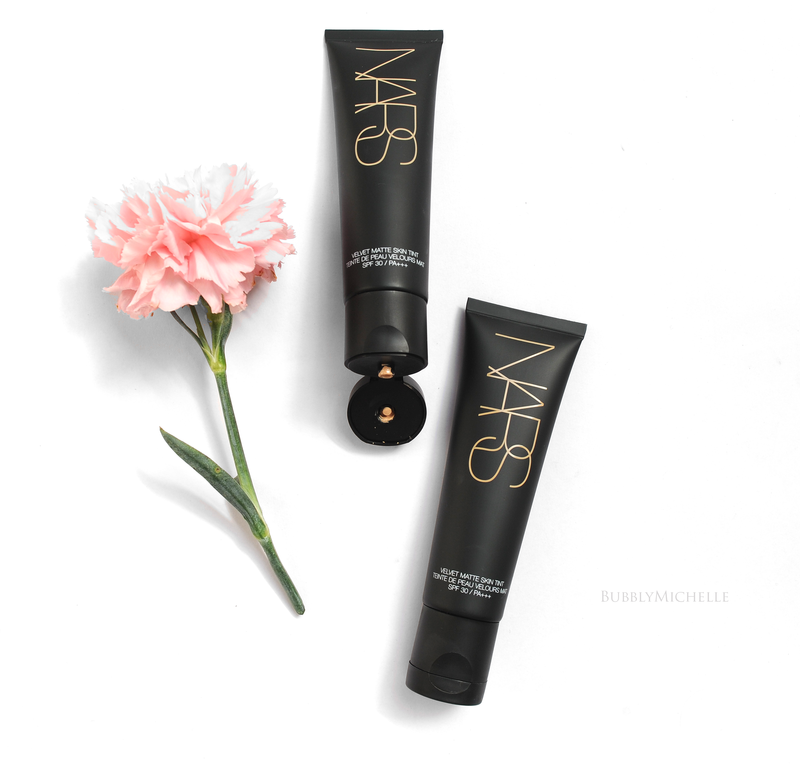 It’s the perfect balance of radiance & matte. This doesn’t do too well on my oily t-zone and tends to breakdown & separate within 4-5 hours if i’m outdoors running errands etc. The drier areas (cheeks & jaw line) on the other hand looked radiant and velvety all day, which is an indication this should work great on normal to dry skin without any need of powdering or touchups as the day goes by. To extend wear I usually prime my face with Clé de Peau primer and powder lightly with the NARS Soft Velvet Loose Powder (shade, Beach). I find this the best mix and other powders I normally use (Gucci pressed powder or Givenchy Prisme Libre) can look a bit heavy when paired with the VMST and settle into fine lines making them more obvious. 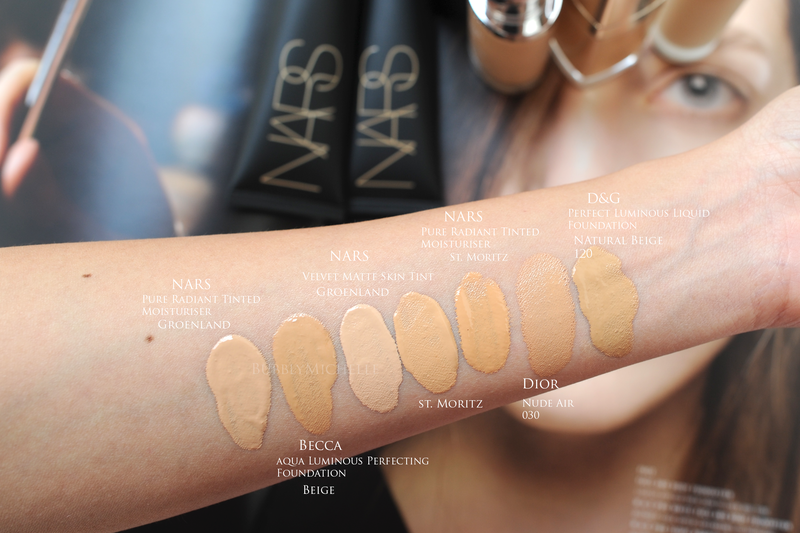 NARS foundations overall lean quite yellow. Which is why I find this a great match for my golden olive skin tone. And on Asian skin that’s naturally yellower, these should work brilliantly. Here’re a few foundations I rounded up for some comparison swatches, I hope you find them useful! Notice the new Velvet Matte Skin Tint shades run slightly lighter than the Pure Radiant Tinted Moisturiser? The difference isn’t so major that you’ll have to go up a colour though and your regular PRTM shade should be workable if you plan on purchasing this sight unseen. Singapore will be carrying 9 of the 12 shades released. P.S- For swatches of the complete range do drop by Karens blog, here. 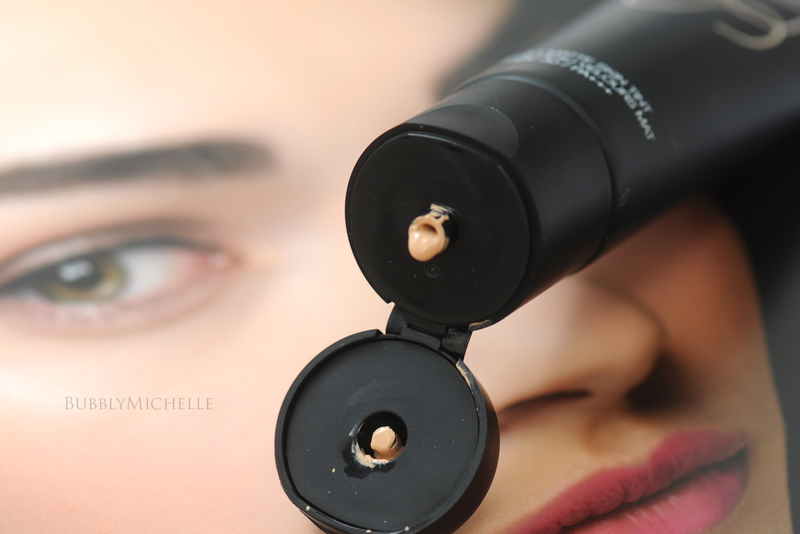 Anyone looking for sheer to medium coverage without the cakey look. Or an everyday foundation that’s very easy to wear. Too lazy to wear sunscreen AND foundation? Well you have enough SPF here to get away with wearing just this (though I don’t recommend skipping). Severe pigmentation and looking for heavier coverage. This isn’t buildable. Prefer a very matte finish as it’s not quite matte as you’d expect. S$70 for 1.7 oz, 50 ml. Retailing at Tangs Orchard & Robinsons since 25th Feb 2016. And happy weekend in advance! Which shade did you test? I’ve tried Cuzco and st moritz and neither was quite right but we are similar in skintone. I use Groenland mixed with St. Moritz since St. Moritz on it’s own is a bit too dark for me. 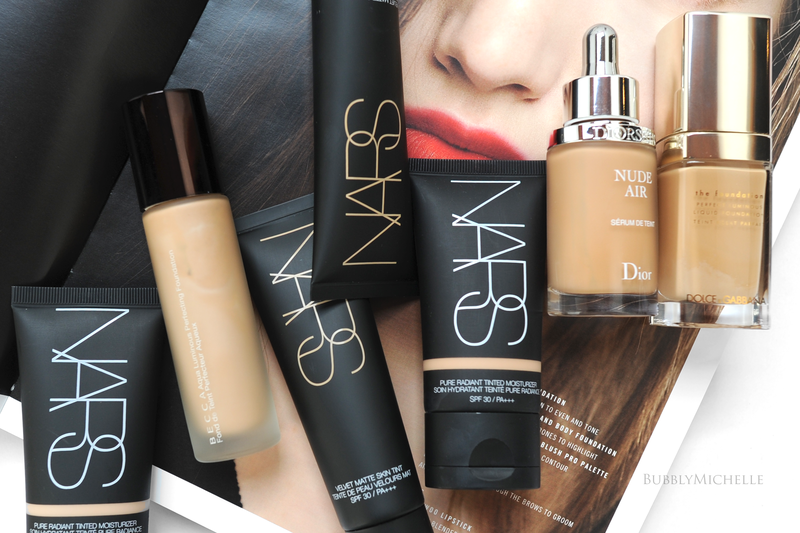 I have never used nars foundations, though I love their blushes. Your review was on point but I have oily skin so I might say away for now. But I have the perfect person whom this foundation would be perfect for. The swatches are so helpful. Thanks!